XTOMP is an ultrathin effects pedal stompbox that simulates multiple iconic classic, vintage, and modern pedals through its growing effects library (currently over 300 models!) XTOMP uses an iOS app to manage all your effects and transfers them to your stompbox via Bluetooth. This powerful tool allows you to get creative by giving you access to both modern, cutting edge units and rare, out of production pedals of lore. At any given time, it can always deliver that “one” pedal you need. XTOMP is basically 300 pedals in one, harnessing the power of your iPhone or iPad but without losing the pedal itself - and because it all connects via bluetooth there are no messy cables or clunky computers. 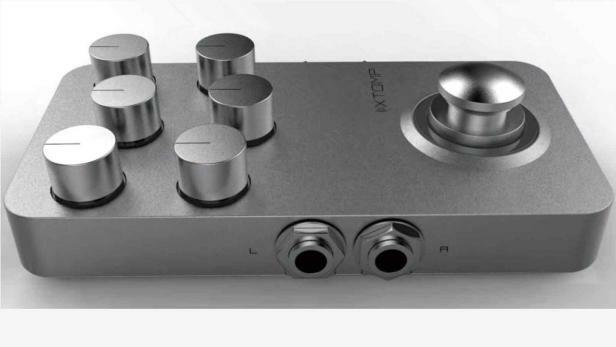 XTOMP features an extremely thin zinc alloy casing, a silver sand blasted finish, futuristic streamlined edging, a sci-tech logo, multicolour LED halo-surrounded metal knobs, wide brass alloy kick switch (also with an LED halo), and stereo I/O jacks (L: Relay True Bypass, R: Buffer Bypass). XTOMP is an ultra-thin effects pedal stompbox that simulates all kinds of iconic classic, vintage, and modern pedals through its growing effects library of over 300 models. Users can update and even contribute to the library. XTOMP uses an iOS* app (Android* version coming soon) to manage all your effects and it transfers them to your stompbox via Bluetooth Smart*. 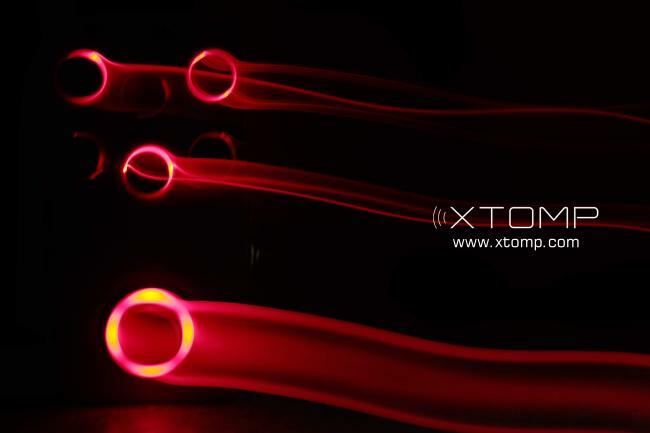 A USB port delivers firmware updates and future XTOMP function upgrades. Technological simplicity allows musicians to focus on the music; to this end, Hotone partnered with world-class mobile music software giant EUMLab to develop a smart but simple user interface: all you have to do is go in, find the pedal model you want, and transform XTOMP with the touch of a button.